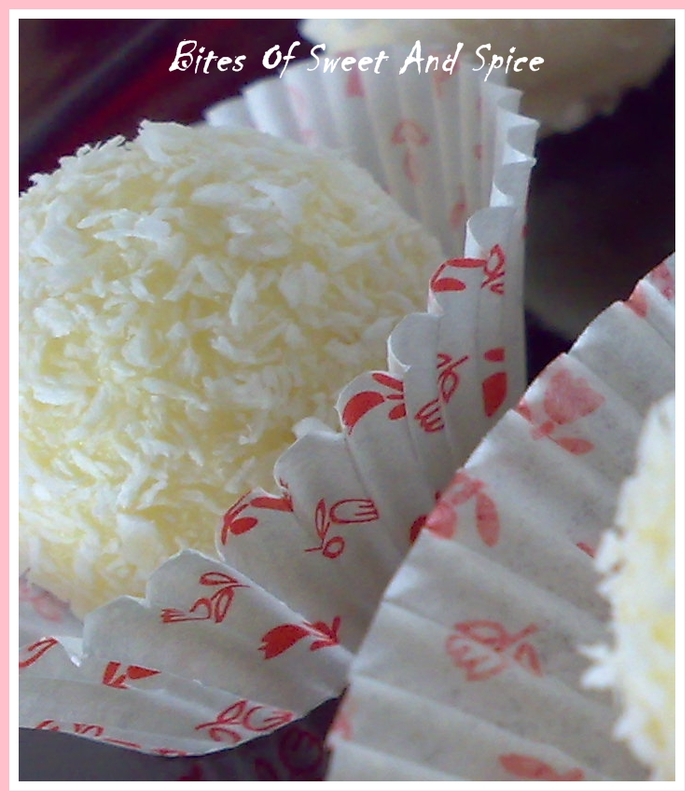 The recipe for these delicious treats is adapted from here. 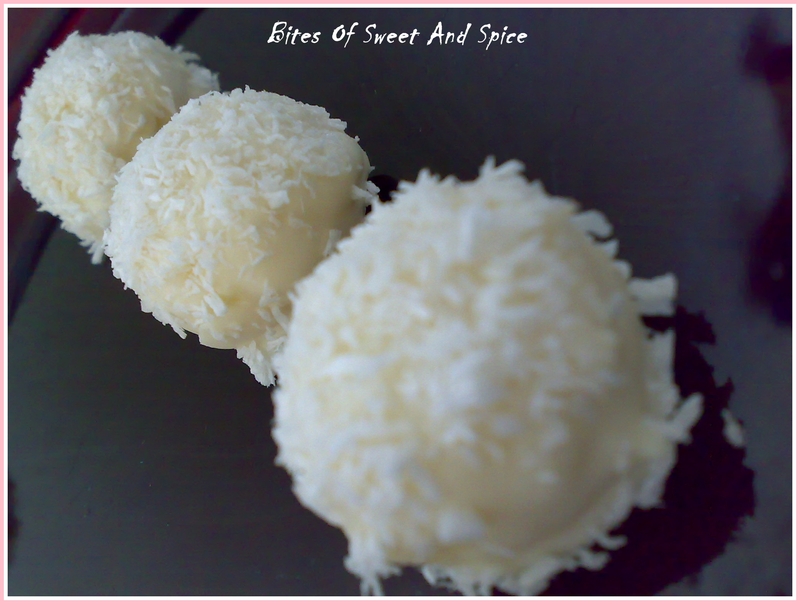 You can make the coconut truffles plain (as per the original recipe) or add a yummy white chocolate coating for an even more irresistible delish. 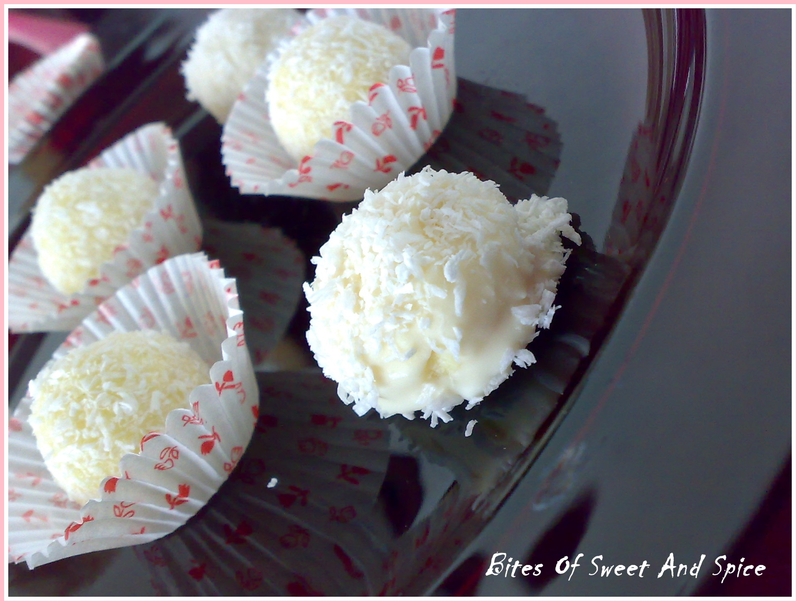 Don’t these White Chocolate Coconut truffles remind you of something? Hmmm… The yummy Ferrero Rafaellos? !… Believe me; they do taste very similar! 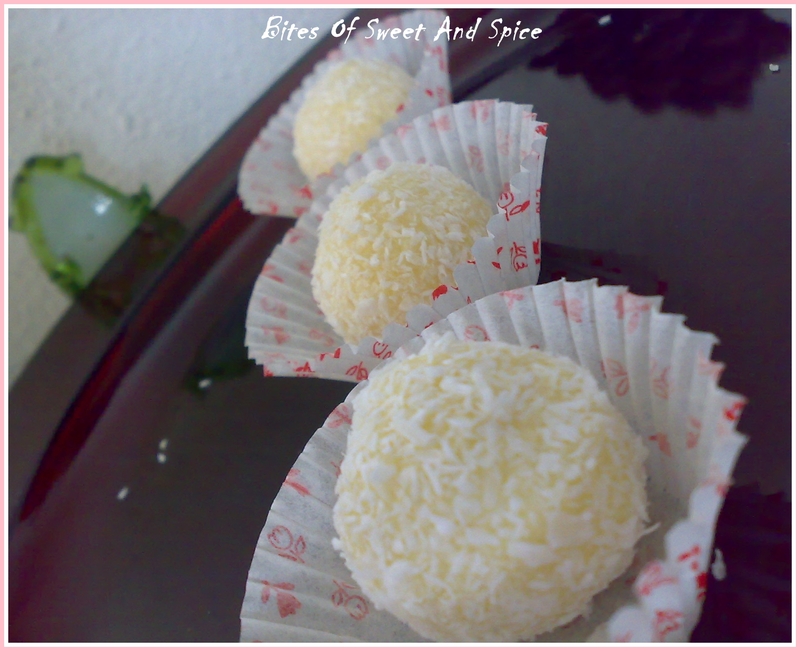 🙂 Even I wasn’t convinced until someone told me that the coconut balls are just like Rafaellos. Hope you’ll give the recipe a try and leave your feedback! Keep 1/4 – 1/3 of the coconut flour aside for coating (around 1 cup). Heat water, butter and sugar in a saucepan till it comes to a boil and sugar dissolves. Simmer for a few minutes and then set aside to cool slightly. Mix well until there are no lumps. The mixture will still be slightly sticky. 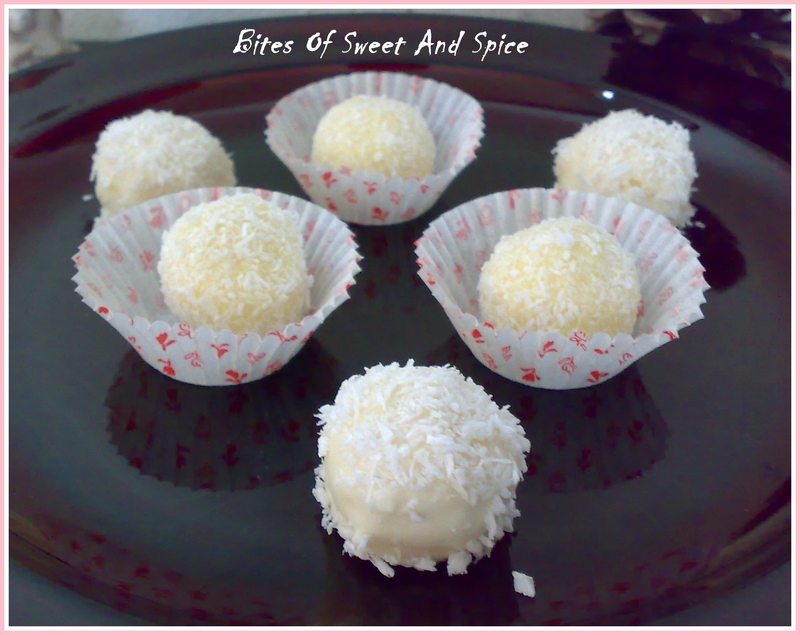 Roll the balls into the rest of the coconut flour till well coated and then refrigerate. 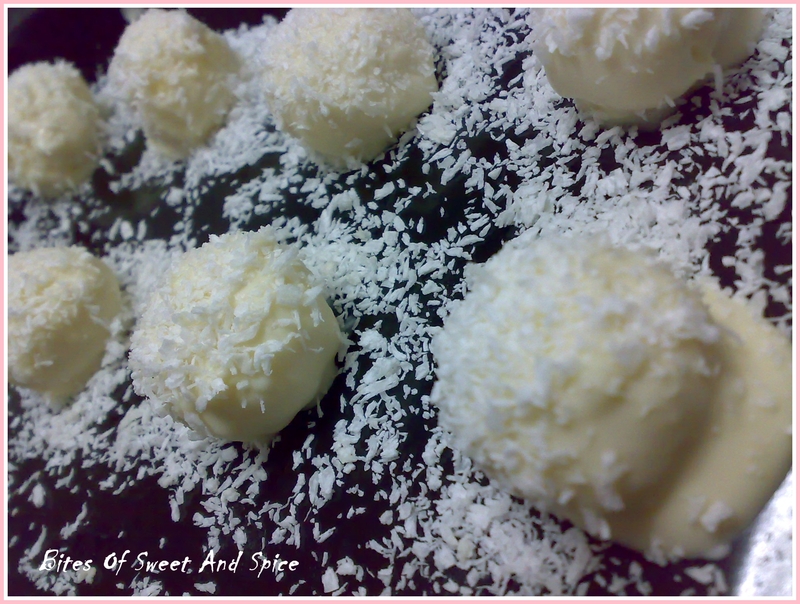 Using a fork or toothpick, dip and coat each coconut ball in the melted chocolate. Place on a tray (lined with wax paper or lightly greased) and sprinkle with coconut flour before the chocolate sets. Once all the truffles are coated, refrigerate till the chocolate hardens and then gently remove from the tray.